It’s #time4inclusion in the insurance industry. The annual Dive In festival to promote diversity and inclusion in the insurance industry launched in London on Thursday. Crowds gathered outside the historic Lloyd’s building were treated to a mesmerising immersive theatre performance by inclusive theatre company, Chickenshed, which provided some real food for thought about the meaning of inclusion. Dive In 2018 is taking place on September 25-27 in 26 countries and over 50 cities. This year’s festival marks a transition from ‘awareness into action’ and follows the theme of #time4inclusion. The festival’s “astonishing” growth in just four years “shows the insurance industry is ready and willing” to talk about diversity and inclusion, said Jason Groves, Global Director of Media Relations at Marsh and the Dive In Committee Chair. “What’s amazing is how much of a chord the Dive In festival has struck within the industry. People are really starting to realise the need for insurance to become more diverse and inclusive – and that understanding is growing throughout the whole workforce, including the C-suite,” Groves commented. 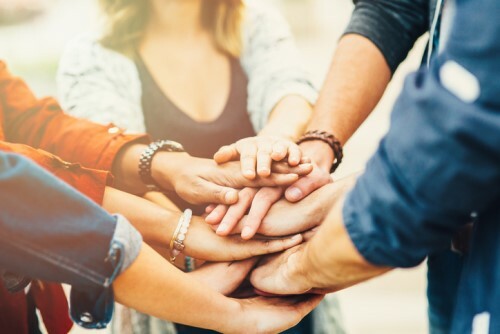 While more and more workers are tuned into the need for diversity and inclusion in insurance, many still find it difficult to convert that awareness into action. A common theme to have presented itself in previous festivals is that people have difficulties finding the time to talk about diversity issues and make concrete improvements. Dive In is there to provide resources, advice around best practices and educational sessions to help people tackle diversity in the workplace. “The insurance industry does do some of this very well. Recently in London, there was a fantastic cross-insurance industry Pride march, which included several hundred people from a wide range of insurance organisations,” Groves told Insurance Business. “That took a lot of self-organisation, but what we need to do now is get people at all levels more comfortable talking about these topics. All of these issues and more will be addressed at Dive In 2018 in 26 countries and almost 100 cities worldwide.